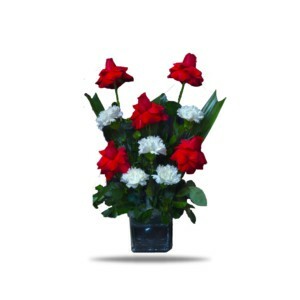 Celebrate your passion with fiery red roses. 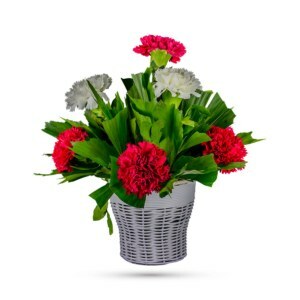 Surprise someone with our flaming red bouquet, Mad About You, to send an elegant—yet hardly subdued—message of appreciation. After all, when you are mad about someone, you would give everything up for that special someone! 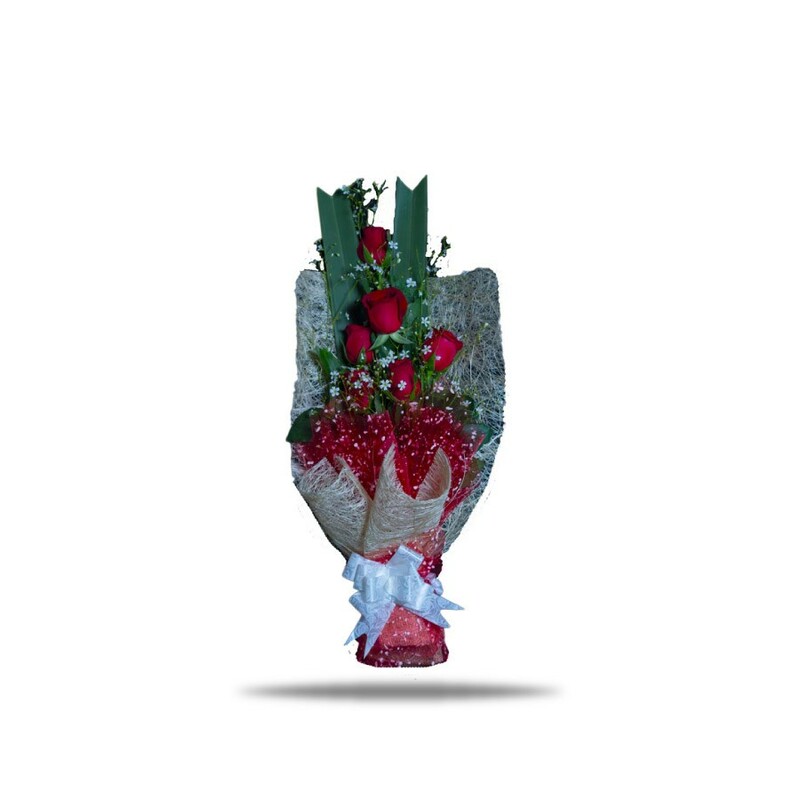 An eye-catching display of roses and gypsies with silky-smooth petals is arranged in a gorgeous brown fiber and red net which makes a beautiful and lasting impression of love and admiration. It’s the perfect gift for birthdays, anniversaries and for the occasional surprises. It’s the perfect way to show you love her always and forever. 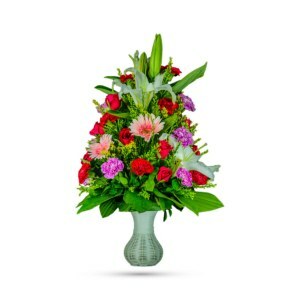 Order online and receive this enchanting bouquet at your doorstep. 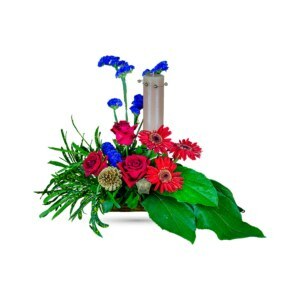 Nothing says “I love you” than a bouquet of fresh flowers. Of course, we do have a message card in case you want to also express the love in text!